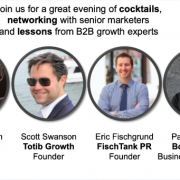 FischTank Marketing and PR Founder Eric Fischgrund will speak on an upcoming January 31st panel entitled, “How to grow your B2B business in 2019 – what works best for organic growth?” He will discuss the role of media relations, content marketing and digital strategies to achieve this goal. 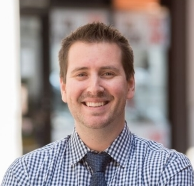 The free event is hosted by B2B Growth (B2BNXT), and will include other speakers including Forrest Leighton, Scott Swanson and Patrick Charron. To learn more, please click the link here or below. How to grow your B2B business in 2019 – what works best for organic growth?